Nephrons are the tiny units in each kidney which give them functionality. We have about 1 million of these in each kidney. Kidneys do a lot more for your body then you realize. They maintain our fluid balances, balance out some of the hormones in our bodies such as the parathyroid hormone, clean and filter wastes, and play a role in bone health through the processing of calcium. They also filter things like potassium. 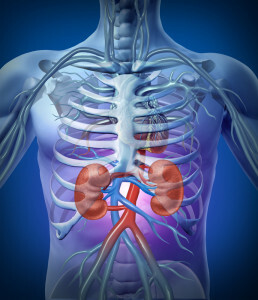 When kidneys don’t do their jobs properly, the fluid balances and processing of other wastes become greatly disturbed. This deteriorating process happens over many years in many cases, or, if kidneys are suddenly injured, can suddenly stop working. That is known as acute renal failure. Diabetes is the number one cause of CKD. This is because high blood glucose levels disturb the nephrons in the kidney little by little until they are no longer a functional unit. This is why poorly controlled diabetes gradually reduces the kidney function. Hypertension is another way in which the kidneys become destroyed. Since the heart’s pumping action is working too quickly in hypertension, the blood vessels are taking repeated damage. Eventually, the blood vessels become damaged within the scope of your kidneys, and therefore the kidneys will no longer filter wastes. You will have a fluid buildup that begins, and kidneys are damaged even more. 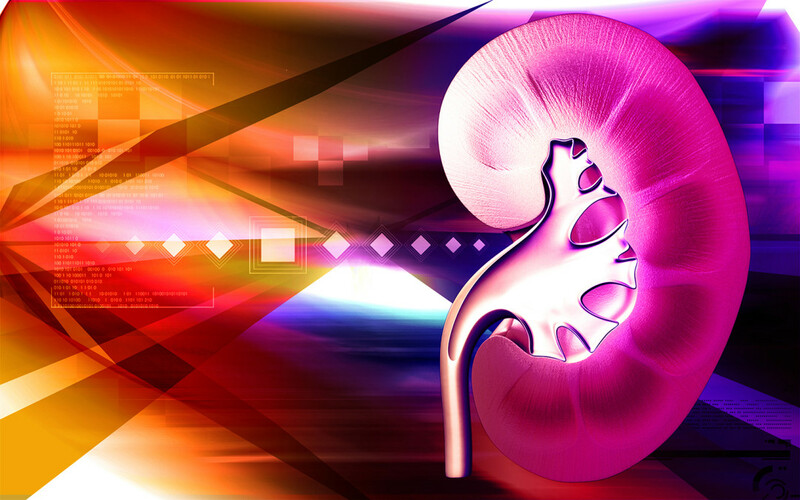 Chronic urinary tract infections over time will likely produce damage to the kidneys. Untreated Urinary Tract Infections can easily travel up to the kidney area, and produce a more serious kidney infection. Kidney infections, (pyelonephritis), quickly destroy nephrons, and can even cause acute renal failure. In stage one of CKD, this is only mild damage. A blood creatnine test will show a GFR of 90-100.A GFR is the glomerular filtration rate. This is a determining factor of how well kidneys are functioning. It is doubtful that you will notice anything at this stage. Kidneys can hold up well not functioning fully.Some people never go on to develop more stages depending on their medical conditions and how well they are controlled. In stage two of CKD, you would have a GFR of about 60-89. You likely will not have any symptoms at this stage, but sometimes protein of the urine will begin showing. Foamy urine is a good indication of protein. In stage three of chronic kidney disease, you may notice that you are urinating at night often. It is possible to feel more fatigued, and there may be signs of anemia present. It is also not totally uncommon to be experiencing cramps in the legs or itchy dry skin.Your GFR rate is below 60 at this point. In stage four, you will need to see a nutritionist for a special diet that works on limiting your phosphorus, potassium, and sodium. You may start to make less urine then normal, retaining fluids, (have edema and swelling in the extremities), and feeling overall unwell. Both you and your doctor will start making future plans for some type of dialysis. Your GFR will likely display results from 15-29, which is a big loss of kidney functioning. Stage 5 is a critical stage of kidney failure. People are symptomatic at this stage to a high degree, having swelling in the extremities, nausea and vomiting, and hardly any urine production, (maybe a teaspoonful), if they are lucky. Kidneys are not filtering anything, and this is where you are placed on dialysis for survival. Your kidney doctor will now have you on some other medications such as potassium binders, and calcium binders in order to keep down toxins in the blood between dialysis treatments. If you are having hemodialysis you will have choices of learning to do this yourself at home or do this in a center three times a week. A fistula is placed in the arm for access in dialysis to clean the blood. Peritoneal dialysis uses a catheter that is placed into the abdominal area. This is a common choice for many people as the restrictions are not as many as for those on hemodialysis. You do peritoneal dialysis several times daily at home, and since this is the case, fluids are not as restricted. Kidney transplants are not always easy to get, but you can always get on the list for a donor or check woth family members to see if they are a compatible donor. It is often a long process. As you can see from reading here, the care of your kidneys are very very important. This is why it important to work closely with your doctor and have bloodwork done on a regular basis to monitor kidney function, and try to keep kidney function as long as possible.